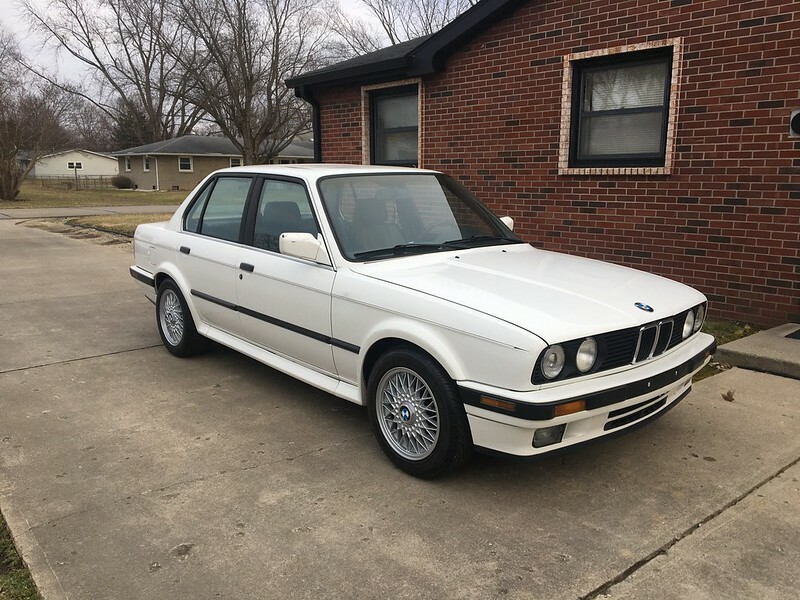 1987 M3 on BAT starting bids at $58K....Jesus. Still has 6 days left. I'm glad you were able to sell it. I wish it was the right time for me. That car was beautiful. Absolutely- the right time will come for your E30 or E36! That car is an enthusiast homerun- it's going to bring all the money. 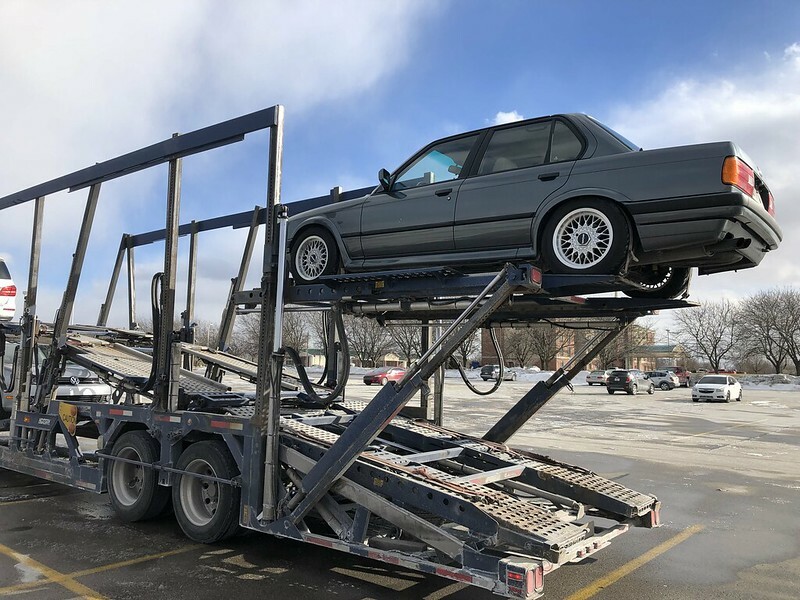 All of the folks out there with boat loads of cash stored away searching for the right M3 have likely been waiting for this exact example to come to market. That is my dream car. If only I had 60k laying around. Who knows what it will finally go for. It's a dream boat. 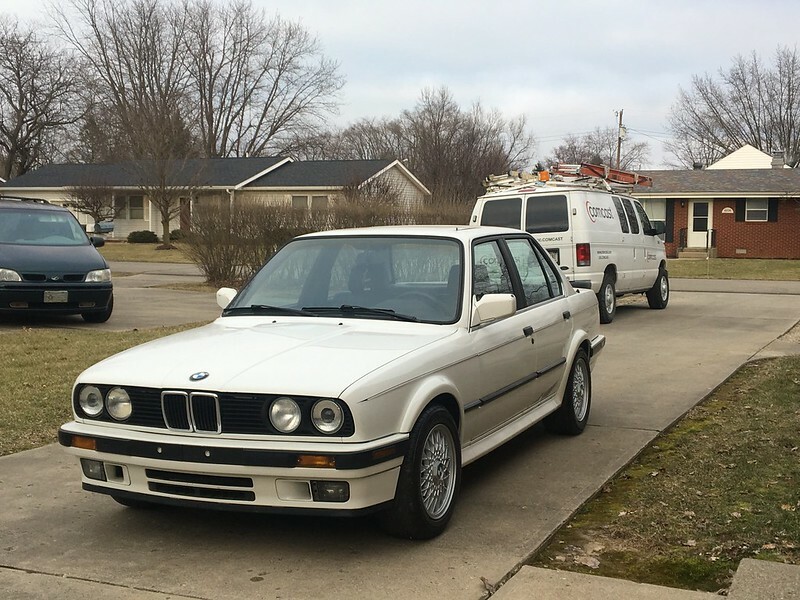 The worst part is, back when I sold my Evo in August of '14 I had the chance to buy an all original Alpine over Cardinal '89 E30M3 for $16.5K. I passed on the deal because I had to buy a daily (the Forester). It haunts me. It's crazy to think just how much the run of the mill E30 market has blown up. These cars used to be $1K and all over the place. Now they're 5-10 times that and half of them still need a ton of work and/or are rusty. The car I really wanted was a 3000GT VR4. They've gone up in value but haven't blown up like the others. The 24v car took a one way trip to CA today! Oh, and some non-BMW content for once. I decided to keep the Forester and make it a bit more reliable, efficient and fun so I can enjoy the daily experience a bit more. Redline Fluid For Trans - GL5 75w90NS 3.7qts? Should be pretty a pretty fun, affordable small bump in power but large bump in ride quality and handling/fun factor/drivability. Sounds like the forester I wish we had haha. I think I would only add some wide tires. Wider than STI rims allow. I'm not sure what fits easily. I agree re: wider tires! Problem is, all of the proper size/offset wheels available in 5x100 are über ricey and don't give me that OEM+ I'm going for. I think it needs a VF39, too, but I don't want to put any extra stress on the HGs, bottom end or clutch for longevity reasons. This way, the car will be setup with some decent, fun mods, so when I break a ring land, spin a bearing, or pop a head gasket I'll just have to build a shortblock and upgrade the turbo/clutch and I'll be good to go! 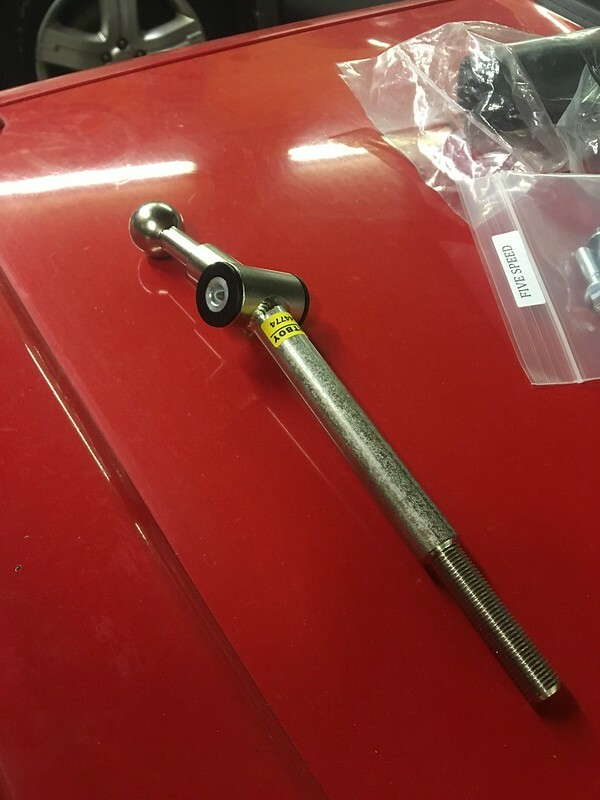 I installed the Kartboy short shifter today with the TIC Lever Pivot Bushings. 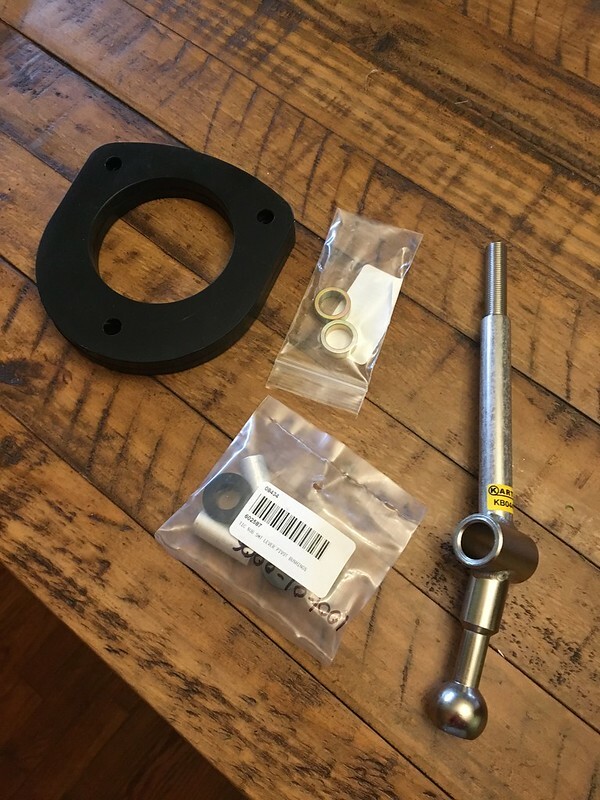 The 06-08 Forester XTs use the longer center pin included in the pivot bushing set. Many opt to remove the metal shroud that contains the studs that your white plastic nuts fasten to to secure the rubber shifter cover, but I modified mine to retain those in hopes to retain the stock cabin seal. The front left stud is removed as part of this process (so no white nut there). Most of the aftermarket shift knobs I found look ricey so I threw the stocker back on. I used this AMS knob on my Evo and really liked it. 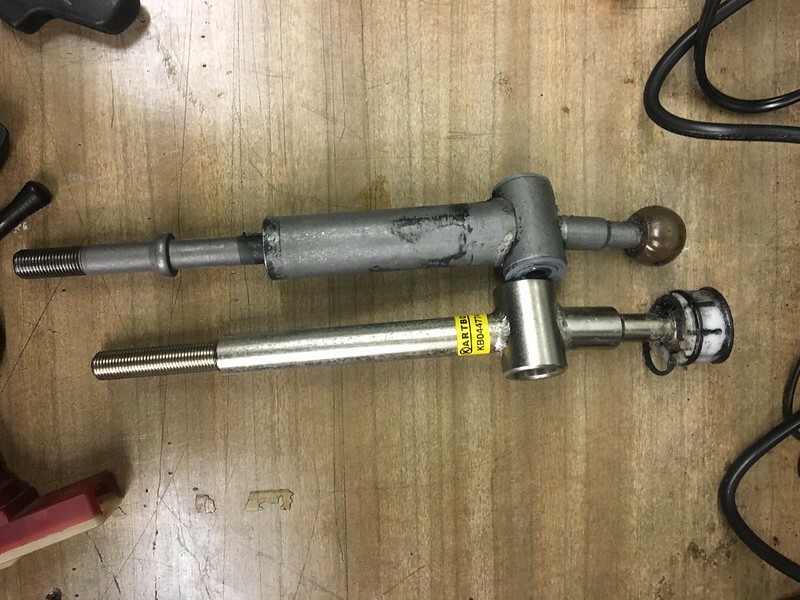 I'm considering buying it for this car, as it's got M10x1.25 threads (same thread size as most manual Subaru shift levers). I also think it'd be nice to have the shift knob closer to stock height- the shorter throw on the Kartboy lever is nice but I'm not a fan of how far down it dropped the knob height. 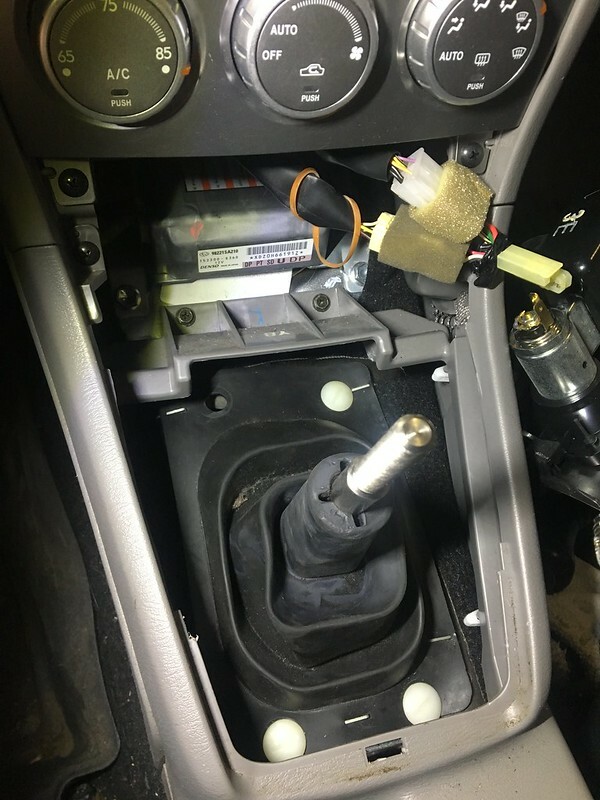 That install seems much more complicated than I expected with the stud removal and people lazily/sloppily leaving off shifter seals and such. Check out the raceseng knobs. A little pricey, but really nice quality and a ton of options. I had the same thought! 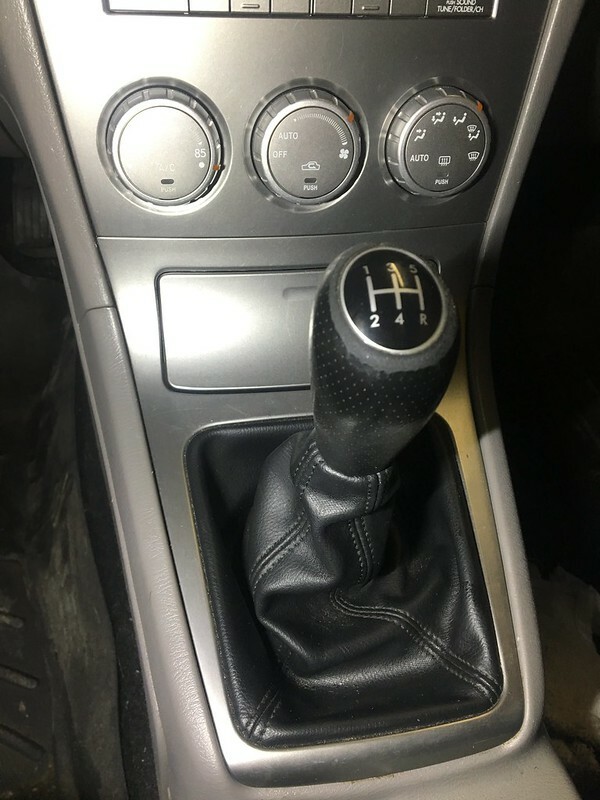 It's because no one makes a specific Forester shifter, they (Karboy, Cobb and Torque Solutions) make a similar unit that works on most WRX/Legacy/FXT with "some modification". 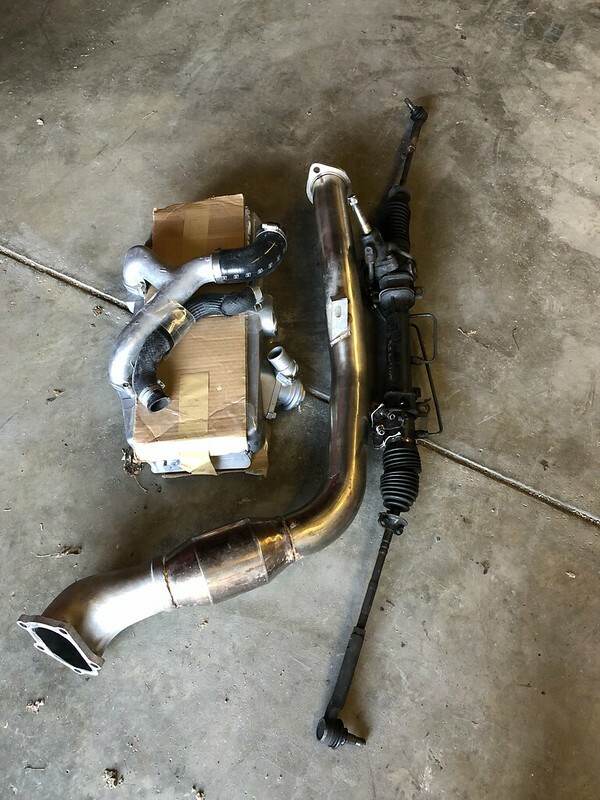 It's funny, I've been out of the Japanese aftermarket parts world for so long, jumping back in for these Subaru parts has reminded me of why I left. oooooh these Raceseng Knobs are beautiful, thank you for the knowledge! Once I lock down the rest of the Subaru parts for this project I'm going to pick one up. The Circuit Cylinder 100mm looks to be exactly what I need to regain stock height with properly balanced weighting. Spherology with translucent red center and black derlin cover here. Great dudes making functional works of art! Good to know, thanks gentlemen! I've got too many parts to buy for the Scoob at the moment, once things calm down I'm going to pick one up. 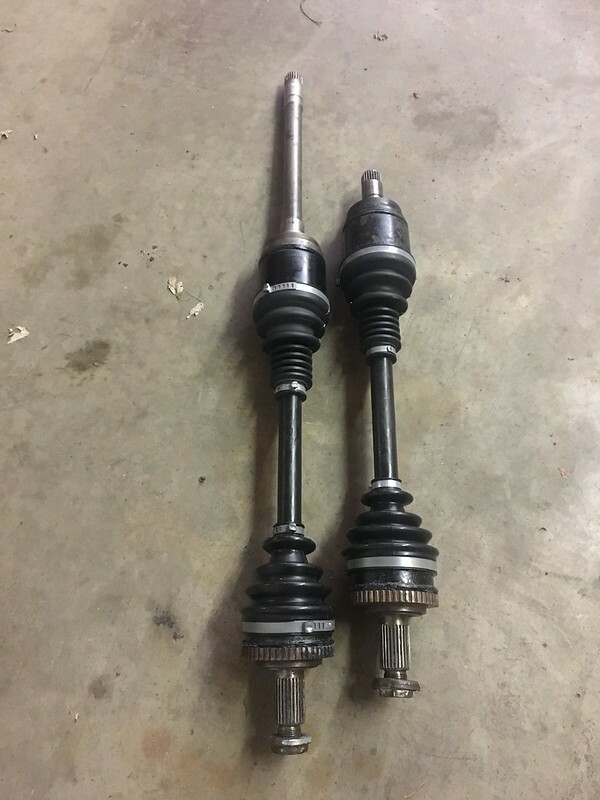 Thankfully, this should be the last time I'll have to refresh front iX axles. I completely disassembled them, cleaned, checked for wear/replaced worn parts, paint, reassembled with GKN boots. This is my first time driving the car since I completed all the maintenance and to no surprise, it drives like a dream- I can't wait to get it aligned. Front brakes had 12/32 on them, I disassembled the calipers and cleaned/greased everything and replaced the rubber grommets on the pins that always crack. 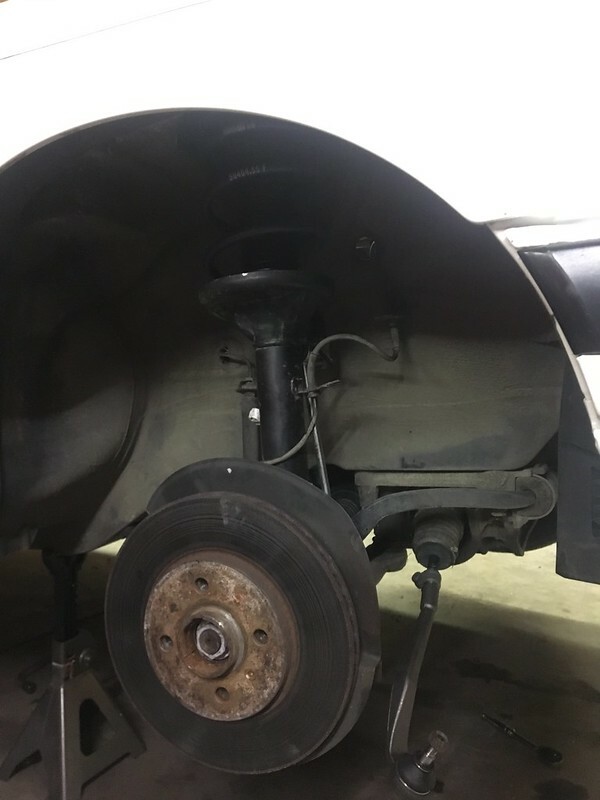 I have a small exhaust leak in the cat section and I broke a brittle ABS sensor while disconnecting it. Just a few more small things to go! I have almost all the parts for an R134 conversion and all the parts to upgrade the throttle body vacuum fittings, so once I get time I'm going to do that stuff as well. I'm still amazed at how clean these old BMWs are. All I see around here are rust buckets in that era. I'm sure that car drives nice. This car is a good one- it's got mileage on it's side (139K, documented). Although, it does have some common rust/paint degradation.....IMO just enough to not be afraid to drive it year round! It's getting harder (and more expensive) to find them in this condition now that the enthusiast community for the E30 has grown so much. I am growing tired of the platform, which is likely a combination of overindulgence combined with increase in popularity and price point. I don't think I'll ever sell the red iS or the M3, but a change of gears is needed here soon. I want something fast again. 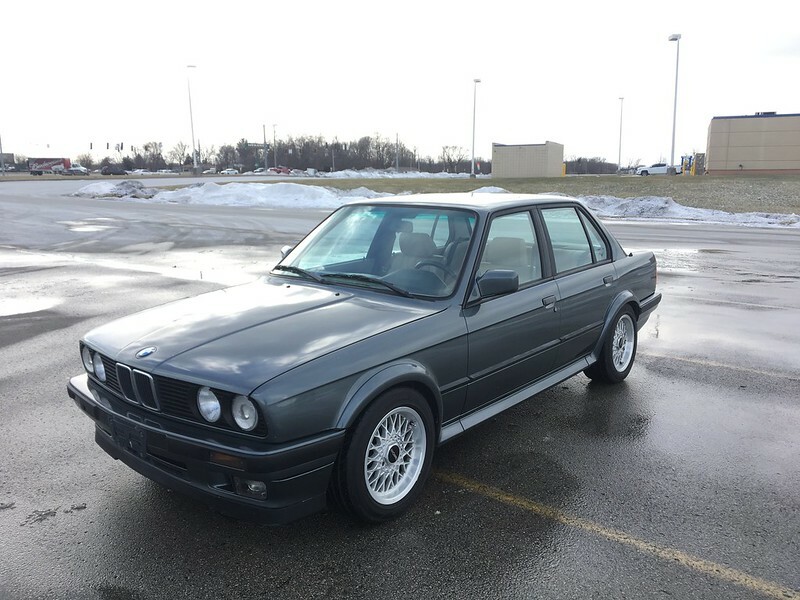 E30s aren't good cars to go fast in (tire width, traction, weak rear end/CV and suspension setup). Lets hope when I'm done with the little Forester refresh it scratches that itch. This is how I feel about miatas at this point. I still enjoy them but man sometimes I wish there was some go when I press the pedal.